Contact Allnet Air’s help desk when a disaster strikes. Allnet Air supports all devices and types of operating systems. Technology is a critical priority for organizations everywhere. In today’s age, companies need a reliable bundle of technology in the office. It’s necessary to have a wireless telecom system that consolidates Smartphones, Tablets, and all other mobile devices together. To keep these powerful tools sharp, you’ll need the assistance of a vetted technical support system. At Allnet Air, we provide a powerful help desk team to manage all your technical matters. It doesn’t matter if you’re dealing with repairs, replacements, add-ons, or relocations. We’re equipped to support wireless users for any purpose that’s necessary. Our helpdesk support technicians will work with any type of device and any type of operating system. Reliable and efficient customer service is always at the forefront of our responsibilities. You can always count on Allnet to deliver a high level of help desk support any time you need it. Whenever you contact us, we’ll make sure that you’re directed to the right point of contact immediately. IT departments manage many critical issues. 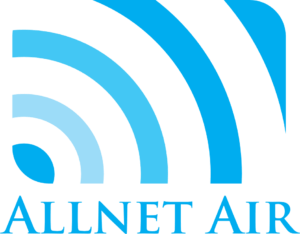 Trust Allnet Air for any mobile device matter. Our flexible help desk gives you the ability to reach our support by telephone or email, even from a remote location. With Allnet, you won’t have to consult your employer when a problem appears. Just contact one of our support specialists with a detailed ticket about the concern. At Allnet, we will help create a productive work environment with optimal efficiency. If you’re looking for a wireless help desk organization with same-service, reach out to Allnet. Give us a call at (847) 457-9543 to learn more about our mobile support programs. Don’t suffer through technical failures again. Contact Allnet Air for efficient and affordable support.